Steve has worked in the landscape industry since childhood, following his father around the family business Sylvan Nursery. Helped grow Sylvan Nursery into one of the highest rated retail garden centers in the area. 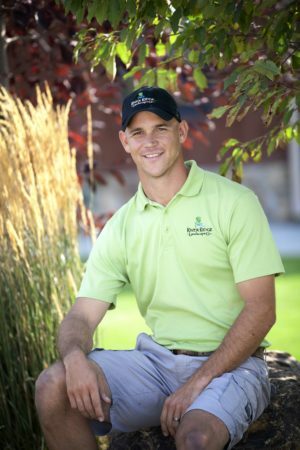 Spun-off the Sylvan Nursery installation and maintenance businesses to form River Ridge Landscape, bringing with him a team of loyal employees and a base of satisfied customers. 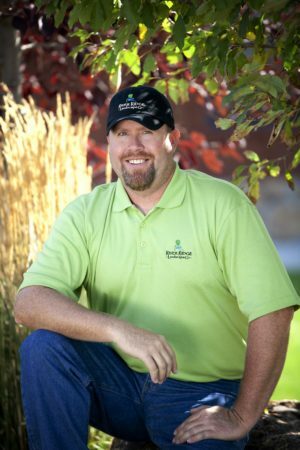 Steve is a graduate of Montana State University with a degree in Horticulture and Landscape Design. He is a past president of the Montana Nursery and Landscape Association and stays active in both state and national industry events. Steve and his company have received over 15 awards for their local and state wide landscaping projects. Chris is Steve’s better half. 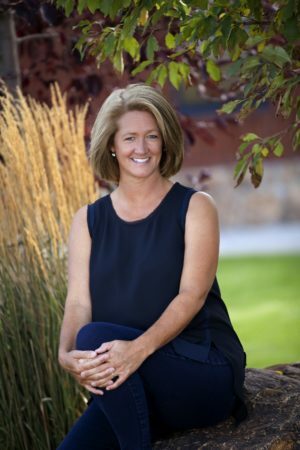 Chris is currently Vice President of River Ridge Landscape Co. She has a degree in Horticulture and Landscape Design from Montana State University. She worked for Sylvan Nursery in various capacities since 1992, including Garden Center Manager and Annual Production Manager. She is a consultant on landscape designs as well as in charge of maintaining the overall appearance and professional look of the company. Ryan is the Landscape Manager at River Ridge Landscape. He came to River Ridge in 2001 after graduating from Montana State University with a degree in Horticulture and Landscape Design. Ryan is in charge of the design and installation of all landscaping projects at River Ridge Landscape. He’s a native of Chinook, Montana. We are glad to have a Chinook Sugar Beeter on our team. Jason is a landscape designer for River Ridge Landscape. 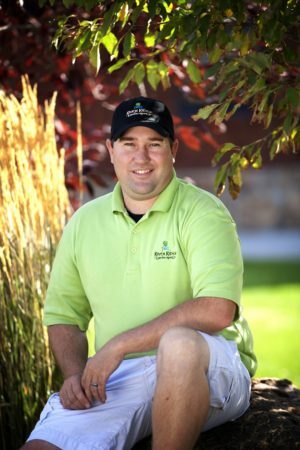 Jason graduated from Montana State University with a degree in Horticulture and Landscape Design. He has worked at River Ridge since 2003, including summers during college. In 2005, he finished his degree and started full time. 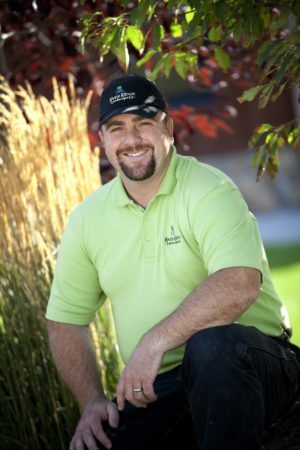 Jason is responsible for all irrigation services including scheduling and dispatching the irrigation technicians. Aaron is the Lawn Maintenance Manager at River Ridge Landscape. Aaron has been with River Ridge since 2001. Aaron is a Montana certified pesticide applicator. Aaron is responsible for sales, coordinating the lawn maintenance crews, and snow removal. 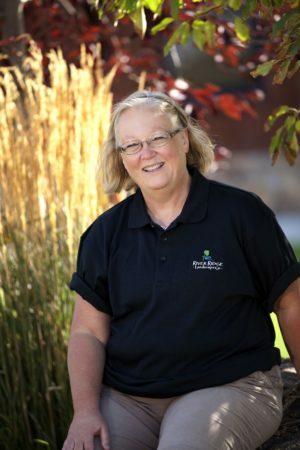 Janet Hutton is the Office Manager and Book Keeper for River Ridge Landscape. Janet is Steve’s sister. She has a degree in home economics and business from Montana State University, so she’s well-prepared for handling the company’s financial operations. She also does all the payroll, which makes her very popular with the employees. 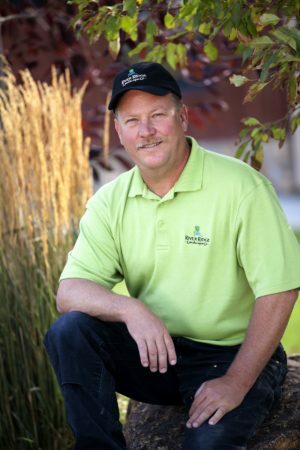 Brian is a Superintendent / Lead Forman at River Ridge Landscape Co. He has been with the company for over 11 years. Brian has an Associates in Range Management from North West College. He is in charge of the building of some of our largest projects as well as training our crews.